Jared DeCoste, Ph.D., a graduate of the Chemistry program here at Binghamton and now a scientist at the U.S. Army Combat Capabilities Development Command (CCDC) Chemical Biological Center has been named Maryland Chemist of the Year by the American Chemical Society. Jared received the prestigious award for to his efforts to further the understanding and development of metal organic frameworks (MOFs) for chemical, biological, radiological and nuclear (CBRN) defense applications. For the past eight years, DeCoste has been a leader in MOF research with the goal of protecting Soldiers from CBRN threats on the battlefield. Congratulations to Jared on his excellent work! Eriks Rozners’ group has received a Maximizing Investigators' Research Award (MIRA R35 GM130207, $2,040,290 for 5 years) from the National Institute of General Medical Sciences (NIGMS) to support their broad research portfolio on Chemical Approaches to Control the Function of Regulatory RNAs. This award will support two long-standing research programs in Rozners’ lab on amide-modified RNA and on sequence selective recognition of RNA via triplex forming peptide nucleic acids. The goals of MIRA R35 Outstanding Investigator Awards are to increase the stability of funding for NIGMS-supported investigators, enhance their ability to take on ambitious scientific projects and approach problems more creatively, and increase flexibility for investigators to follow important new research directions, while reducing the time spent on writing and reviewing grant applications. The current award to Rozners’ group is the first R35 award received by Binghamton University. Congratulations to Eriks and his group! James Fang has received a $400,000 research grant over four years from the U.S. Department of Energy (DOE) through the Center for Alkaline-Based Energy Solutions (CABES), led by Professor Abruña at Cornell University, Ithaca, New York. The CABES is one of the 22 new Energy Frontier Research Centers (EFRCs) that received four-year awards. The mission of CABES is to achieve a detailed understanding of the nature, structure, and dynamics of electrocatalysis in alkaline media. Stan Whittingham has been awarded the 2018 David Turnbull Lectureship by the Materials Research Society (MRS). The Turnbull Lectureship is given to recognize the career of a scientist who has made outstanding contributions to understanding materials phenomena and properties through research, writing, and lecturing. Stan was chosen from a group of outstanding nominees for "fundamental contributions to solid state ionics including the discovery of the key role of intercalation mechanisms, and the development and commercialization of rechargeable Li-ion batteries.” The award will be presented at the 2018 MRS Fall Meeting in Boston, at the Awards Ceremony on Wednesday, November 28, 2018, at 6:15 p.m.
Dr. Fang has been awarded a research grant from the National Science Foundation (NSF) (1808383, $504,124 for 3 years) to support his work for the development of catalytic sites with lattice strain that exists in several types of shape-controlled state-of-the-art nanocrystals as the model systems. This project aims to explore some fundamental understandings of the lattice strain formation and solutions of catalytic improvement of some emergent electrochemical reactions in energy conversion and environmental protection. Recently, Dr. Fang also received a grant totaling $110K from the ACS Petroleum Research Fund,entitled “Ceria Facet-Dependent Oxidative Coupling of Methane towards C2 Products”. This is the second-year’s support of the two-year “New Direction” grant, initially awarded on 9/1/2017. This project is aimed at the methodological development of facet-tailored CeO2 synthesis, and the observation of CeO2 facet stability as well as facet-dependent CH4 conversion/C2 selectivity. Venubabu Kotikam won the Best Poster Award in Postdoctoral Research Associate category at the XXIII International Roundtable of Nucleosides, Nucleotides and Nucleic Acids hosted by the University of California, San Diego on August 26-31. Venu received this high recognition for his research on synthesis and RNA interference activity of amide-modified short interfering RNAs. 2 graduate students in the Vetticatt group won poster awards at the American Chemical Society's 2018 Reaction Mechanisms Conference! Juliet Macharia won the Royal Society of Chemistry's Catalysis Science and Technology Poster Prize for her research on chemistry of a class of compounds called arylboronic acids which are widely used in fine chemical, pharmaceutical, agrochemical, and modern-material industries due to their stability, easy preparation and environmental benign nature. Joseph Izzo was an American Chemical Society Omega prize winner for his poster on how normal carbon-13 kinetic isotope effects led to the proposal of a new mechanism for the organocatalytic epoxidation of enals. This proposal is in contention with the pervasively proposed "iminium-ion" pathway. Congratulations to Juliet and Joe! Susan Bane’s group has received a research grant (R15 CA 227747, $450,309 for 3 years) from the National Cancer Institute (NCI) to support her work to develop a new bioorthogonal chemical reaction discovered in her lab (US Patent 14694744; international patents pending). They will explore the general utility of this chemistry to create bioconjugates, with specific emphasis on producing improved antibody-drug conjugates (ADCs) for cancer chemotherapy. Her lab has also received funding for this work from the SUNY Technology Accelerator Fund (TAF) to pursue commercialization of this technology. Congratulations to Susan and her group! Michelle Crook, who received her Binghamton University degree in chemistry, will attend the University of California, Berkeley, this fall with a National Science Foundation graduate research fellowship. Read more at BingUNEWS! Sozanne Solmaz's group has received a research grant (R15 GM128119, $448,607 for 3 years) from the National Institute of General Medical Sciences (NIGMS) to study the cell cycle-specific recognition of the cell nucleus as cargo for dynein-dependent transport. The research will establish regulatory mechanisms that ensure that transport of the nucleus is initiated by motor proteins at the correct point in time. Results of the proposed research will establish regulatory mechanisms that are promising targets to help devise treatments for these devastating brain and spinal muscle development diseases. Congratulations to Sozanne and her group! The annual Chemistry Department Award Luncheon was held in May 2018. Eriks Rozners, professor and chair of the Chemistry Department presented each graduate student with a certificate and award. Joe Izzo recieved the department's "Outstanding Research Assistant Award." Justine Gordon received the department's "Lois D. Mackey Award" which is given to an outstanding first-year teaching assistant in general chemistry. Innocent Achari and Joe Izzo received the department's "Outstanding Teaching Assistant Award." Hannah Cronk received the department's "Outstanding Service and Outreach Award." The Ming An group has received a research grant (R15 GM128150, $450,334 for 3 years) from the National Institute of General Medical Sciences (NIGMS) in support of their work in ‘Rational Design of pH-Low Insertion Peptides for Cargo Delivery’. This grant is received in partnership with co-investigator Lan Yao (Research Assistant Professor, Dept. of Physics). Cross-membrane delivery of membrane-impermeable molecules has far-reaching implications in biomedical research and medicine. The pH-low insertion peptide (pHLIP) is a carrier capable of transmembrane cargo delivery in response to acidity found in diseased tissues (e.g. cancerous tumor, sites of inflammation, and ischemic myocardium) or in certain cellular compartments (e.g. endosomes, lysosomes). The proposed research aim to develop new pHLIP variants with improved properties based on prior information gathered from solid state NMR (in collaboration with the Wei Qiang lab) and pHLIP-cell interaction studies. Congratulations to Ming and his group! Roland Miller, a current graduate student from Prof. Omowunmi Sadik’s research group, received a competitive travel grant to attend the 2017 The Sustainable Nanotechnology Organization (SNO) Conference in Los Angeles, CA. SNO is a non-profit, worldwide professional society comprised of individuals and institutions that are engaged in applications and implications of sustainable nanotechnology (www.susnano.org). Roland also gave an oral presentation at the 255th ACS National Meeting & Exposition Conference in New Orleans from March 18- 22, 2018. He is also one of the recipients of the 2018 Chemistry Alumni Community summer research support. Our congratulations go out to Roland! Stan Whittingham has been elected to the National Academy of Engineers for pioneering the application of intercalation chemistry for energy storage materials. Academy membership is among the highest professional recognitions that honors engineers who have made outstanding contributions to “engineering research, practice, or education, including, where appropriate, significant contributions to the engineering literature" and to "the pioneering of new and developing fields of technology, making major advancements in traditional fields of engineering, or developing/implementing innovative approaches to engineering education." Congratulations to Stan on a very well deserved honor! Puja Goyal’s group has received a Scialog: Advanced Energy Storage team award from Research Corporation for Science Advancement to study proton-coupled electron transfer in batteries based on quinone crystals using an integrated experimental and theoretical approach (http://rescorp.org/news/2018/01/six-team-awards-announced-for-scialog-advanced-energy-storage). In collaboration with researchers at the University of Houston and the University of Southern California, her group aims to establish the design principles of quinone anodes in aqueous rechargeable batteries to optimize key battery performance parameters including specific capacity, reduction potential, and stability, with the overarching goal of designing safe and high energy density aqueous batteries. Congratulations to Puja and her group! Wei Qiang's group has received a research grant (R01 GM125853, $1,328,027 for 5 years) from the National Institute of General Medical Sciences (NIGMS) to study the molecular basis of neuronal cell membrane disruption induced by early-stage aggregation of beta-amyloid peptides, which is a heterogeneous process associated with the pathology of Alzheimer's disease. This project utilizes a combination of advanced solid-state nuclear magnetic resonance spectroscopy and other biophysical, biochemical and computational approaches. The outcomes will expect to provide high-resolution structural and physicochemical information that are crucial for understanding of the neurotoxicity of beta-amyloid fibrils and oligomers. Congratulations to Wei and his group! The Vetticatt group has received a research grant (R01 GM126283, $ 1,502,992 for 5 years) from the National Institute of General Medical Sciences (NIGMS) in support of their research to discover ‘Novel Concepts and Mechanistic Probes in Catalysis’. The research funded by this grant will utilize experimental and computational techniques to study the fine details of some of the most widely used reactions in medicinal chemistry. These studies will enable organic chemists to develop more efficient processes for the synthesis of complex medicinal targets. Congratulations to Matt and his group! Congratulations to Alpha Bah who is the first student from Binghamton University to be an ACS Scholar! The ACS awards renewable scholarships to underrepresented minority students who want to enter the fields of chemistry or chemistry-related fields. Awards, based on need and available funding, are given to qualified students. African American, Hispanic, or American Indian high school seniors or college freshman, sophomores, or juniors pursuing a college degree in the chemical sciences or chemical technology are eligible to apply. Stan Whittingham, distinguished professor of chemistry and materials science, was recognized by President Harvey Stenger and Provost Donald Nieman during the Aug. 31 grand opening of the Smart Energy Building. Smart energy is about discovering ways to capture, convert and store low-cost, renewable energy that will enhance our lives and reduce environmental impact. Stan Whittingham’s pioneering research in the area of lithium-ion battery has put Binghamton University at the cutting edge of smart energy research. University is honored to have him lead our battery storage research efforts. Eriks Rozners has been awarded a grant totaling $502K from the National Science Foundation to work on a collaborative research project: Nucleobase-Modified Peptide Nucleic Acid (PNA) for Sequence Selective Triple-Helical Recognition of Non-Coding Ribonucleic Acid (RNA). The project is a partnership with James A. MacKay who received a complementary award totaling $196K from the National Science Foundation to support related activities with undergraduates at Elizabethtown College. As part of this project, MacKay is spending a sabbatical year at Binghamton University focused on jumpstarting the collaborative activities. The project is aimed at the development of new methods for molecular recognition of biologically-significant, non-coding RNA. The majority of cellular RNA consists of non-coding RNAs that play important roles in regulating gene expression even though these processes are not fully understood. Selective recognition, imaging, and functional regulation of such RNAs are useful for fundamental studies and practical applications in biotechnology. The project expands interdisciplinary, collaborative research across traditional institutional boundaries and contributes to improving STEM education. In 2016, the Binghamton Local Section celebrated its 75th anniversary through several events, most notably at the 2016 Northeast Regional Meeting. We would like to congratulate all the Binghamton Local Section members for an outstanding year and once again thank all the volunteers, many of them members of our department, for all the hard work! The annual Chemistry Department Award Luncheon was held on May 18, 2017. Wayne E. Jones Jr., professor and chair of the Chemistry Department presented each graduate student with a certificate and award. Alex Haruk and Victor Karuiki recieved the department's "Outstanding Research Assistant Award." Carrie Kaplan received the department's "Lois D. Mackey Award" which is given to an outstanding first-year teaching assistant in general chemistry. Hannah Cronk received the department's "Outstanding Teaching Assistant Award." Steve Boyer received the department's "Outstanding Service and Outreach Award." Catherine Zander, a 2015 Binghamton graduate from the PhD program in Chemistry, was awarded a congressional fellowship from the American Society of Hematology. The purpose of the fellowship is to allow a hematologist to work in a Congressional office on Capitol Hill and to help shape health care and hematology policy. After receiving her PhD from Binghamton in 2015 from the Grewer laboratory, Catherine joined the Zheng laboratory at the University of Alabama in Birmingham Medical School, where she works as a postdoctoral fellow. At UAB, Catherine's research focuses on uncovering biological mechanisms of thrombosis. In a national competition, Stephen Ambrozik, a chemistry graduate student in the research group of Nikolay Dimitrov, was awarded a National Research Council (NRC) postdoctoral research associateship. This associateship provides significant opportunity for a select group of scientists, who have demonstrated the ability to become creative leaders in research to gain advanced research training. Yihua Liu, an alumnus from both undergraduate and graduate chemistry programs at Binghamton has been awarded the Electrodeposition Division Early Career Investigator Award by The Electyrochemical Society. Yihua's work while a member of Nikolay Dimitrov research group provided the foundation for his success as a researcher at the National Institue of Standards and Technology and at the Argonne National Lab. Congratulations go out to Yihua! Brian Callahan, Assistant Professor of Biological Chemistry, has received a 5-year, $541,614 grant from the National Cancer Institute to support biochemical and biophysical studies of human “hedgehog” proteins. These unusual, cholesterol-modified proteins are implicated in a range of human pathologies, from severe birth defects to the growth and metastasis of multiple cancers. The two main goals for the current grant are to develop a better fundamental understanding of hedgehog’s molecular function, and to translate that knowledge into improved therapies that benefit patients. Since joining Binghamton University in 2012, Callahan has received generous support for his research from the Department of Defense, the New York State Department Health, and now the NCI, totaling more than $850K. Congratulations to Wunmi Sadik for being selected to the 2017-2018 group of Jefferson Science Fellows. The 2017-2018 Jefferson Science Fellows (JSF) is the thirteenth class of Fellows selected since the program was established in 2003 as an initiative of the Office of the Science and Technology Adviser to the U.S. Secretary of State. The Jefferson Science Fellows Program is designed to further build capacity for science, technology, and engineering expertise within the U.S. Department of State and U.S. Agency for International Development (USAID). The 2017-2018 JSFs were selected in December 2016 and will begin their one-year assignments in Washington, DC in August 2017. More information about the Jefferson Science Fellowship Program is available at this link. Wunmi Sadik has been awarded the 2016 Nigerian National Order of Merit for science. The award is the country's highest national honor for distinguished contributions in academia. Of the 73 total recipients of this award since its creation in 1979, only four (including Wunmi) have been women, and many (like Nobel Laureate Wole Soyinka and author Chinua Achebe and Isidore Okpewho) are people whose work and accomplishments have been very meaningful to Wunmi on a personal level. Wunmi and her family traveled to Abuja to receive the award from President Buhari on the December 1, 2016. More information can be found at this link. Information about the award and its past recipients can be viewed here. Professor Eriks Rozners' biological and chemical research into the structure and function of RNA has earned him the 2016 Chancellors award for Scholarship and Creactive Activities. 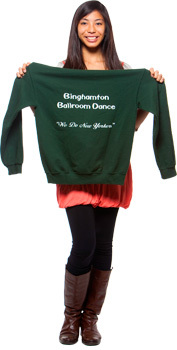 Read more in Binghamton University's Inside magazine. Professor Omowunmi “Wunmi” Sadik has received a $867,536 grant from the National Science Foundation and the Bill and Melinda Gates foundation in collaboration with Prof. Seokheun Choi in Binghamton’s department of Electrical Engineering and Professor Helen Asemota at the University of the West Indies in Jamaica. The team will be developing paper based biosensors to increase the productivity of agriculture in developing countries. This project seeks to revolutionize yam production in developing countries through the development and field-testing of low-cost genotyping and phenotyping biosensors and molecular genetic tools, which will contain an integrated paper-based biobattery for self-sustainable and independent sensing systems. The results will be made available to larger community through field-testing. User friendliness is an important objective of this project as the resulting device is not limited for clinical and laboratory professionals, it is also geared towards the general public with little or no knowledge of the field of science and engineering. A new breed of students/researchers will be trained capable of tackling global food security problems. Broader dissemination plans include peer-reviewed publications, handouts, web-page updates, expansion of genome yam sequencing database, international experience for students and training of globally-engaged US workforce. William Marsiglia, a 2013 Binghamton graduate with a BS in Biochemistry, has received a prestigious NIH National Cancer Institute predoctoral fellowship. The purpose of the NCI Predoctoral to Postdoctoral Fellow Transition Award (F99/K00) is to encourage and retain outstanding graduate students who have demonstrated potential and interest in pursuing careers as independent cancer researchers. After graduating from Binghamton University, William joined the Chemistry graduate program at NYU, where he is currently working on his dissertation as a member of the Traaseth Lab. His research is focused on understanding how pathogenic mutations in receptor tyrosine kinases activate cell division to cause cancer. While at Binghamton, William performed research in Dr. Grewer's lab on the identification of glutamine transport inhibitors. His work resulted in one publication, and he has since added two more publications from his PhD work. He also received numerous awards while at Binghamton, including the prestigious Barry M. Goldwater scholarship. The 5th Bi-Annual John Eisch Lectureship in Organic Synthesis will be held on April 8, 2016. Professor Bob Crabtree from the Department of Chemistry at Yale Univeristy with be speaking. The event will take place in the Academic Building A, Room G008 ate 5:15 p.m.
On March 16, 2016, four of our graduate students were presented with certificates in recognition of their outstanding contribution to the excellence of Binghamton University. Justin Sambur, a 2006 BS Honors graduate in Chemistry at Binghamton University, was highlighted in a recent issue of C&E News for his recent research “reactivity hot spots” on catalytic surfaces. While at Binghamton, Justin completed an Honors Thesis working with Dr. Dave Doetschman entitled, "Decomposition of Dimethyl Methylphosphonate (DMMP) in Sodium-X Type Faujasite Zeolite.” This research involved quantifying the chemical effects of various quantities of water adsorbed in the hygroscopic zeolite on the subsequent adsorption and decomposition of the nerve agent simulant DMMP. Following earning his BS from Binghamton, Justin went on to earn a PhD from Colorado State and is currently an NSF ACC-F post-doctoral fellow working with Professor Peng Chen at Cornell University. Professor Eric N. Jacobsen, from the Department of Chemistry and Chemical Biology at Harvard University, will be the guest speaker at the 4th annual John Eisch Lectureship in Organic Synthesis. Professor Jacobsen's talk with be on "Anion-Binding Catalysis". The talk will take place on Friday, November 13, 2015, at 12:00 noon in Academic Building A, Room G008. The program for the event is available at this link (pdf, 280 KB). Stan Whittingham has been named a 2015 Thomson Reuters Citation Laureate. This designation acknowledges that his research on the lithium-ion battery is on a very high level and that he is "of Nobel" class and likely to earn the Nobel someday. More information about his achievement is available in this Binghamton Inside story. About 35 in-coming 6th graders from the Binghamton City School District’s seven elementary buildings are spending two solid weeks working side by side with professors, researchers, graduate students and teachers at the “Go Green Institute” conducted in the science facilities on the Binghamton University Campus from July 13 – July 27. Dr. Christof Grewer has been awarded a grant totaling $530K from the National Science Foundation to study the dynamics and energetics of secondary-active glutamate transport. Here is a brief description of the work: ...the plasma membrane separates the interior of the cell from the extracellular space and provides a barrier to cell entry/exit for many molecules (for example nutrient or signaling molecules) that are essential for cell survival. One such molecule, glutamate, is the most important neurotransmitter in the mammalian brain. Glutamate is transported across plasma membranes through active glutamate transporters, which play essential roles in controlling the levels of glutamate in the mammalian brain and other tissue. This project explores the fundamental principles by which these transporters operate. Understanding these principles is important because it will contribute to our knowledge not only of the role of glutamate and nutrient movement between cellular compartments in the mammalian brain, as well as other organs of the body, but also glutamate homeostasis, which is important for cellular function in general. Furthermore, the project facilitates undergraduate and graduate student education by providing opportunities for cutting-edge biophysical research, as well as training in basic physical, quantitative approaches to be applied to a significant biological problem. Wayne has held leadership positions in the American Chemical Society, at the three levels of organization: the Binghamton local section, the Northeast Region, and the national stage of ACS governance. At the local level, Wayne started his service as the Binghamton Local Section Awards Chair in 1996. In 1997 he was elected the section’s Councilor, a post he still holds. In addition to this, he was Chair of the Binghamton Local Section in 2000. He enlarged the scope of his volunteerism when he decided to get involved with the incorporation of the Northeast Region. As part of the “gang of four” volunteers, Wayne contributed to the deliberations and ultimate production of the constitution and bylaws of the Northeast Region of the ACS (NERACS). Incorporation was finally achieved in 2005, and Wayne served as the inaugural Treasurer of our Region. Besides high-level governance, Wayne Jones has also carried out the heavy lifting of being General Chair of NERM 2006, held in Binghamton, NY. He did a remarkable job, as this NERM proceeded despite the primary conference site having been flooded out just prior to the meeting. Meeting rooms were moved, and this NERM was a success both scientifically and financially. Undaunted, Wayne has volunteered to again, in 2016, hold the reins of a NERM as General Chair. On the national level, Wayne’s work as Councilor has resulted in posts on three major committees: Local Section Activities, Membership Affairs, and the Committee on Committees. Remarkably, he has served as Chair for all of these! His various other contributions in service to the ACS emphatically point to a well-deserved selection as the NERM 2015 E. Ann Nalley Volunteer Service Award. In partnership with the American Chemical Society (ACS); the Binghamton University Chemistry Department, ACS Local Binghamton Section and Graduate Chemistry Club, held the ACS Planning your Career Development and Finding your Pathway workshops on June 9 and 10, 2015. The purpose of these workshops were to help individuals in the STEM fields explore what career pathways are available to them following degree completion and explore individual development plans (IDPs) that will help students develop the skills necessary to achieve successful employment in the career pathway of their choice following degree completion. Dr. Eliud Mushibe was recognized with the Michael V. Boyd EOP Center Faculty Staff Award fro 2015 in recognition of his outstanding contributions to EOP students in Chemistry 107/108. On April 29, 2015 the Binghamton Local Section of the American Chemical Society held it's annual Awards and Recognition Ceremony at the Symposium Hall of the Center of Excellence Building on the Binghamton University campus. Donna Nelson, Ph.D. Professor of Chemistry at the University of Oklahoma, and President-Elect of the American Chemical Society talked about her experience as a science advisor for the television series Breaking Bad. The ceremony was presided over by Dan Brennan, Binghamton Local Section Chair, and Wayne Jones, Binghamton Local Section Councilor. Several members of the Chemistry Dept received awards at the ceremony. Awardees were: Anting "Amy" Chen, ACS Graduate Travel Award; Sandy Zhang, Outstanding Undergraduate Senior Chemistry Major Award; Megan Fegley, Zappert Award for Outstanding Graduating PhD Student; Christof Grewer, 2015 NYS Science Olympiad Division C Regional Coordinator; Mary Bridge, 2015 Local and National Chemistry Olympiad Coordinator; Alexsa Silva, 2015 Local Section Outreach Volunteer of the Year; M. Stanley Whittingham, ACS Binghamton Local Section Distinguished Research Award. Junior Chemistry Major Agatha Ambrozy was among 26 student-athletes inducted into the National College Athlete Honor Society (Chi Alpha Sigma) on Monday evening in the TAU Club Room of the Events Center. A Varsity Tennis play, she has demonstrated excellence in both the classroom and her athletic pursuits. She is currently planning to pursue a career in medicine following graduation. Three graduate students from the Chemistry Department were named recipients of the The Graduate School's 2015 Graduate Student Excellence Awards for their important contributions to the excellence of the University in service/outreach, teaching and research. University President Harvey Stenger expressed his congratulations and thanks for their efforts at the awards luncheon. More details about the awards are available in Inside Binghamton University. Eriks' nearly 30 years of work on understanding the role of RNA in the body has drawn a lot of attention in recent years, including large grants from both the National Institues of Health and the National Science Foundation. This success comes from his attention to detail and his interest in the basic science of chemically modified nucleic acids. You can read more about Eriks' work in this DISCOVER-e issue. Stan received the National Alliance for Advanced Transportation Batteries (NAATBatt) Lifetime Achievement Award Feb. 18 for more than 40 years of research on lithium-ion batteries. He pioneered the development of the lithium-ion battery while working with a team studying superconductors at ExxonMobil in the 1970s. The NAATBatt recognizes those who promote the development and use of stored energy technology in vehicles and renewable energy sources like solar and wind power. You can read more about Stan's award in this Binghamton University Pipedream article. Prof. Brian Callahan, Biological Chemistry, has received a highly competitive “New Idea Development Award” from the US Department of Defense (285 K, 3 years). Approximately 10 of these awards were made this year from a national pool of >100 applicants. The funding will support research aimed at discovering a new class of therapeutic molecules to treat advanced prostate cancer. Callahan is collaborating in this effort with a team of scientists that includes experts from the University of California San Francisco and the Vancouver Prostate Cancer Centre. We are pleased to announce the third annual John Eisch Lectureship in Organic Synthesis to be held on Friday, November 7, 2014. We are delighted to have, as our featured speaker, the internationally recognized Professor Brian M. Stoltz from California Institute of Technology. His talk is entitled, "Complex Natural Products as a Driving Force for Discovery in Organic Chemistry." We invite you to join us on Nov. 7, at 4 p.m., in Science Library 212, for what promises to be an excellent lecture as well as a chance to meet with faculty, alumni and friends. We are at an exciting time in both the life of the University and the Department of Chemistry here at Binghamton. We hope that you will be able to join us on November 7th! A program with additional details is available for download here. Getting Kids Interested in Chemistry! Saturday, graduate students in the Chemistry dept headed to the Oakdale Mall where they set up demos and taught kids about different aspects of chemistry ... and they incorporated candy! Students say they hope these kids will walk away with a love for science. Stephen Ambrozik, grad student at Binghamton University said, "We really just hope to pass on the passion that we have for science. There's a lot of grad students out here, a lot of undergrads, and we're all majors in science and chemistry so we're trying to get these students to have the passion we have." Bruce McDuffie, former professor of analytical chemistry at Binghamton University, passed away on Sept. 12 at his home in Chattanooga, Tennessee. McDuffie received national recognition in 1970 for discovering high levels of methylmercury in a can of tuna. More information about Bruce and his contributions to the University and community are available in this Pipe Dream article. The NorthEast Center for Chemical Energy Storage (NECCES) at Binghamton University, directed by Stan Whittingham has been awarded a $12.8 million, four-year grant by the Department of Energy. The grant is one of the largest federal research grants Binghamton University has received. Whittingham and his colleagues want to understand the fundamental chemical reactions in energy storage materials to make them work better and to develop new materials that are cheaper, environmentally friendly and able to store more energy than current materials can. More details are available in Binghamton Unversity's Inside magazine at this link. Prof. Rozners has received an NIH research award (R01 GM071461, $1,572,389 for four years) to continue his research on the recently discovered biological activity of amide-modified RNA. The goal of this project is to create novel research tools and compounds for therapeutic applications of modified short interfering RNAs, while looking for new fundamental insights into structure and function of RNA. The project involves collaboration with structural biochemists at Vanderbilt University and University of Rochester. In a long term, the project may open the door for development of new drugs for diseases where the traditional pharmaceutics have been less successful. A talk by Héctor Abruña, Director of the Energy Materials Center at Cornell University, entitled "Fuel Cells, Batteries and the Energy Landscape" was one of several NanoDays activities organized by Binghamton University. Dr. Abruña's presentation energized a lively discussion with, and among, the audience members on the topics of energy, energy technologies and energy research. Video from local TV coverage is available here. The Roberson Museum hosted a NanoDays event Saturday afternoon, April 5, 2014. The event gave area students ages 4 to 13 a hands-on experience in science and chemistry. Binghamton University graduate students from the Chemistry, Engineering, and Materials Science programs teamed up to run the demonstrations and activities. The Chemistry Dept is participating in a NSF Research Experiecnes for Undergraduates (REU) program in the area of energy. Students will work with a faculty mentor on a topic related to that faculty member’s research. 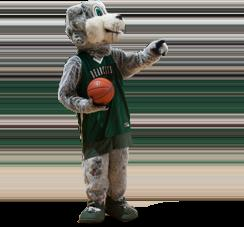 The program runs June 2, 2014 to August 1, 2014 on the Binghamton University campus. For more information and to fill out an application for the program, click here. Prof. Eriks Rozners participated as an invited speaker in the 40th International Symposium of Nucleic Acid Chemistry (ISNAC2013) held November 13-15 at Kanagawa University in Yokohama, Japan. Prof. Rozners delivered a plenary talk on molecular recognition of double-stranded RNA using chemically modified PNA. The three-day annual symposium featured a panel of renowned experts in nucleic acid chemistry from around the world. The United States were represented by chemists from Scripps Research Institute, Carnegie Mellon and Binghamton University. As part of the week long lecture tour, Prof. Rozners also delivered invited talks on his research on amide-modified RNA at Konan University in Kobe and Gunma University in Kiryu. Last year, the Department of Chemistry at Binghamton University hosted the first annual John Eisch Lectureship in Organic Synthesis. We invite you to join us on Oct. 11, at 4:30 p.m., in Academic Building A, Room G-008, for what promises to be an excellent lecture as well as a chance to meet with faculty, alumni and friends. We are at an exciting time in both the life of the University and the Department of Chemistry here at Binghamton. We hope that you will be able to join us on October 11! A program with additional details is available for download (pdf 126 KB). Past news items are available at this link.